I love seeing live music, but life often gets in the way of going to as many shows as I would like. But it only takes a few seconds to log on and download music from Freegal. Freegal is a service available to Hoboken Public Library Resident Card Holders. You can download up to three free songs per week. The songs are permanently yours once you have downloaded them. It is a great resource for finding songs from popular musicians such as Beyoncé and Adele, when there is a long waiting list for their CDs at the library. I listen to a lot of Goth and Industrial music and some of it can be hard to find, but Freegal has a variety of artists available in even hard to find genres and international musicians. So take a peek and download some music! https://hobokenlibrary.freegalmusic.com/users/sndlogin. 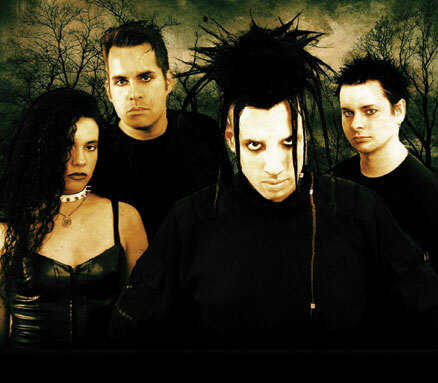 The Cruxshadows are a Goth band originally from Florida. I have seen them numerous times live including at clubs in NY, the Sci-Fi/Fantasy Convention DragonCon in Atlanta (which they perform at yearly), and even on the Gothic Cruise in the middle of the Atlantic Ocean. No matter what the venue they are at the Cruxshadows always put on amazing show. Rogue, the lead singer, is energetic and will often wander through the audience. At one performance, he hung off a balcony above the crowd. He is also probably one of the nicest musicians you will ever meet and always makes time for his fans. Their lyrics are thoughtful and often mix in mythological reference such as the Orpheus myth. Their songs also have good beats for dancing and several of their singles have been number one on the Billboard U.S. Hot Dance Singles Sales Chart. When I lived in Boston, Marilyn, My Bitterness was played constantly at ManRay, the local Cambridge Goth club. Hoboken Public Library Card Holders can download it and other songs from their album Telemetry of a Fallen Angel (one of my favorites) on Freegal. 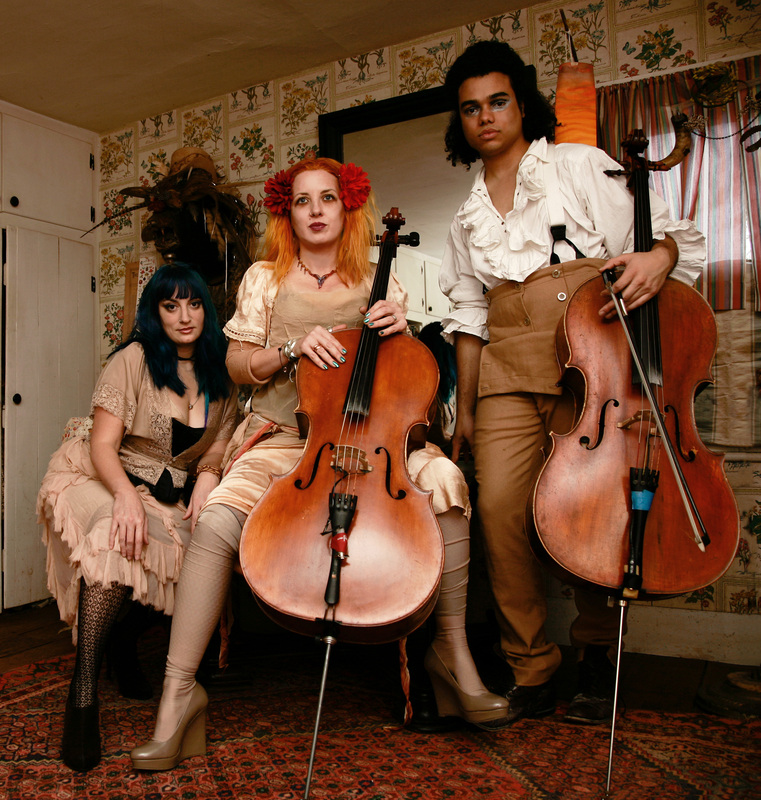 The Cello Rock Band Rasputina is my favorite live band. Their lyrics are quirky and range from topics like the historic year without a winter, to mayflies, to ice hotels. The habit of wearing Victorian Undergarments such as pantaloons and corsets onstage adds to their whimsy. The main force behind Rasputina is cellist, Melora Creager, though I have also enjoyed solo cello performances by some of the musicians that have been part of the band through the year including Zoe Keating and Erica Mulkey (of Unwoman). I have seen Rasputina over a half dozen times in a variety of venues, but my favorite shows will always be the ones at the sadly soon to be closed Maxwell’s here in Hoboken, where due to the short height of the stage and the necessarily seated position of musicians playing cellos the audience was always asked to sit on the floor, which gave the show an added surreal feel reminding me of elementary school assemblies in the gymnasium. Since Creager lives in New York, the band plays frequently in this area. But even if you don’t make it out to one of their shows, you can sample songs including my favorite, The New Zero, from three of Rasputina’s albums on Freegal including Thanks for the Ether, Transylvanian Regurgitations, and How We Quit the Forest. VNV Nation is one of my husband’s favorite Industrial/EBM bands. I saw them once opening up for Apoptygma Berzerk and then several years later headlining with And One opening for them. The Irish/English Duo of Ronan Harris and Mark Jackson are now based in Germany, but they tour frequently so although they currently have no local dates scheduled, you may have the opportunity to see them in the future. With meaningful lyrics, a great stage presence, and a sound that ranges from upbeat danceable tracks to ballads, they are definitely worth checking out. Songs from Of Faith, Power And Glory (including my favorite song Tomorrow Never Comes) and Reformation 01 are available from Freegal.